It’s Bay Mountain Capital’s 10 year anniversary! In celebration of this milestone, BMC would like to share its history and recognize the integral people that have contributed to its success. Bay Mountain Capital was formed in response to the housing crisis and ensuing credit crunch that began in 2007. Banks had withdrawn from the markets they previously served and real estate investors were in dire need of capital. BMC recognized this need and began to offer financing so that borrowers could take advantage of the tremendous opportunities that existed. The original team consisted of Dean Lontos, Wayne Corley and Pam O’Bar. The company grew significantly from 2009 to 2012, focusing most of its efforts on single-family home investments. Over the first few years, BMC loaned over $100 million for the purpose of restoring distressed single-family properties that were subsequently rented or sold. The improvements made to these properties helped to stabilize neighborhoods and provided quality housing to families throughout the Texas markets that the company served. 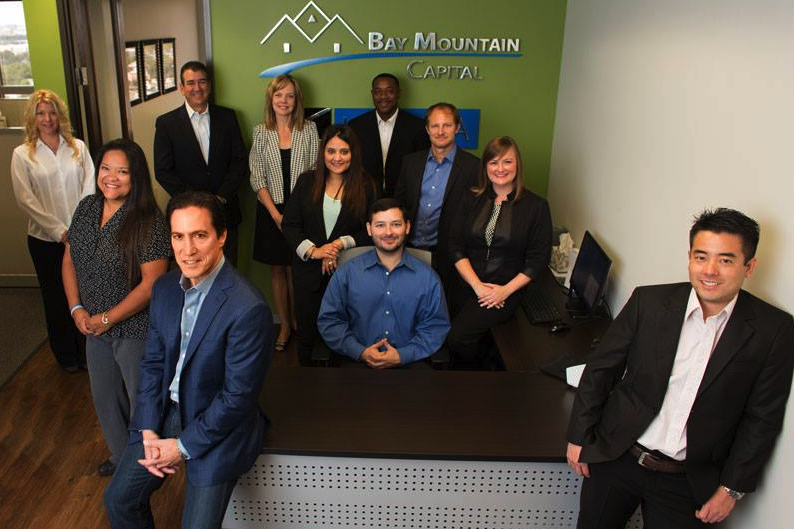 Bringing in talented high achievers has been a key part of Bay Mountain Capital’s success. During its early years, Angie Arrington and Rachel Jones joined BMC, helping to manage the company’s growing business. Soon after, Phil Sanchez, Daniel Rojas and Bryce Yamauchi came on board to help position the company for further growth. The company pivoted significantly in 2014 from both a capital structure and a lending standpoint. In April of that year, BMC launched Bay Mountain Fund I, an open-ended mortgage pool fund. This structure provided its existing and new investors with a more efficient means of investing with BMC, giving them a safe means to invest in a diverse pool of borrowers, markets and collateral types. Through the end of 2017, the BMC staff is proud that its fund members have enjoyed an annualized return of 11.2% on their invested capital. Since its launch 10 years ago, BMC has expanded its lending areas to include Houston, Austin and San Antonio, as well as smaller markets in Texas. As the company’s locations expanded, so did the staff. Sandra Thomas, Danisha Patel, Marlen Arellano and Jovana Dimas became key additions to propel the company forward as it continued to gain traction within the private lending industry, eventually originating more than $280 million of real estate secured loans. BMC is confident in the future of the private lending industry and its combination of safety of principal and current income returns. They have a highly skilled staff that is adaptive to change and that continues to meet the needs of the real estate entrepreneurs that they serve. As the real estate market continues to evolve, so too will BMC.